Professional Analysis and Consulting, Inc. has been providing fire investigation expert witness services to our clients since we opened our doors in 2007. In that time, our fire investigation expert witness services have providing cases with the knowledge and insight that comes from a true fire expert. Our experienced team has worked with OSHA and MSHA controlled sites and knows the necessary regulations when analyzing a site. Our fire investigation expert witness can provide your case with the detail and analysis regarding your fire situation. If you would like to find out more about the benefits that come along with working with a fire investigation expert witness, please call Professional Analysis and Consulting, Inc. today at 630-466-4040. You can also get in touch with one of our knowledgeable representatives by simply filling out the online request form on this page. Professional Analysis and Consulting, Inc. and our fire investigation expert witness are officially licensed by the State of Illinois to carry out fire investigations. 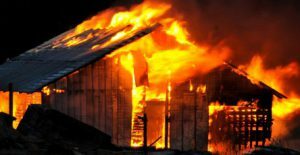 Our team has a great deal experience in dealing with anything small residential fires to large industrial fires and explosions. Our services have examined accidental, incendiary and natural origin fires. We have the capability to scan the scene using state of the art equipment and even capture footage via drone and provide an accurate model of the scene of the fire. All sensitive material evidence that we collect is analyzed at our lab at our 24/7 secured facility. We make sure that our fire investigation expert witness is compliant with state requirements for evidence collection and retention. At Professional Analysis and Consulting, Inc., our services are reasonably priced when compared to our top competitors in the industry. Our team works to fulfill all of your investigation’s needs without going over your budget. To receive more information on the fire investigation expert witness services that we have to offer, please call Professional Analysis and Consulting today at 630-466-4040. You may also reach out to one of our knowledgeable representatives with any questions that you may have by simply filling out the online request form on this page.